This Railway Line closed in 1982. Murrow is set in the heart of the Fens 6 miles from March. Murrow would think it self pleased with just one railway but it had two. Each line had it own station which for somewhere in the middle of nowhere is remarkable. The GN&GEJR March to Spalding line station was Murrow West. The M&GNJR Peterborough to Sutton Bridge line station was called Murrrow East. Like the Newark crossing on the ECML, these lines crossed on the flat. With not a hill in sight it made sense. All was well till to on the 26th November 1925 when frost jammed a signal on the M&GN line and a freight train ran into a freight that was on the Great northern and Great Eastern joint line. The crossing was right next to the signal box. 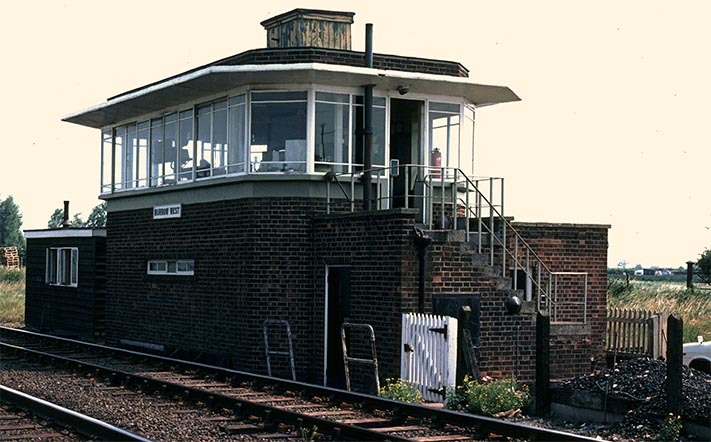 The old box was destroyed and a new signal box, the one in the photo above, had to be built to replace it. When the M&GN was closed, bricks from the Dogsthorpe and Eye brick works were still being moved by rail. This meant that the part of the M&GN railway line from Murrow to Dogthorpe was still needed. The part of the line the line from Peterborough New England to Dogsthorpe was set be closed along with the bridge over the ECML at New England . 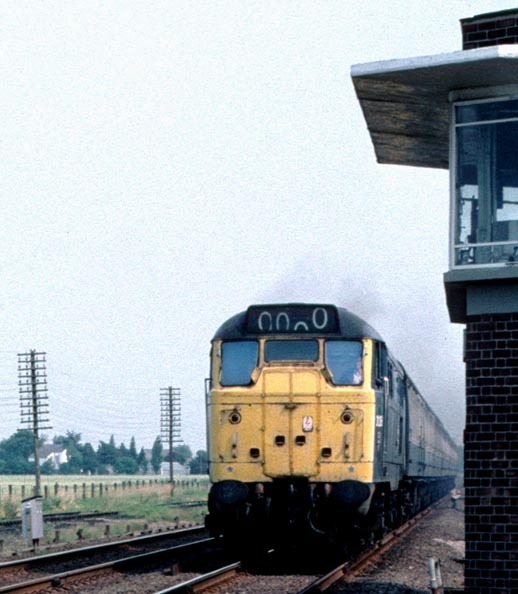 It was there for decided to keep the part of the M&GN from Murrow to the Dogthorpe brick works in Peterborough open and put in a new spur behind the signal box at Murrow from the March direction to the M&GN line . 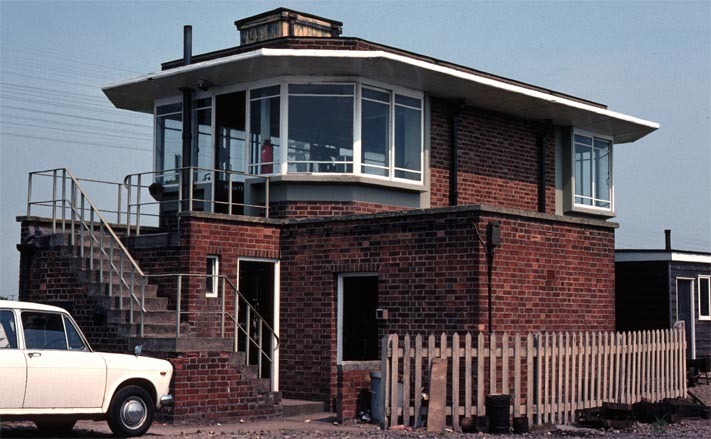 This opened on 2nd January 1961 and allowed these brick trains to gain access to the Whitemore yard. The part of the M&GN line to Wisech North was also kept open. Both these lines were closed by around 1966. Parts of the A47 road in between Eye and Peterborough and the bridge over the ECML were built on the old Midland and Great Northern track bed. The signal box at Murrow has been saved and is now in some ones garden, which must have been part of the old track bed as the box is still in the same place.